Rev. William Bryan Spiller, age 75, of Twin, passed away Thursday, April 4, 2019 in the North Mississippi Medical Center in Tupelo. Funeral services for Rev. Spiller will be held on Saturday, April 6, 2019 at 4:00 p.m. from the Bowen Funeral Home Chapel with burial to follow in the Center cemetery near Twin. Bro. Kevin Young will be the officiating minister. Visitation will be held on Saturday from 2:00 p.m. until 4:00 p.m. (service time) at the funeral home. Bowen Funeral Home of Winfield serving the Spiller family. Barbara Faye Boyette Hendrix, age 70, of Winfield, passed away, Monday, April 1, 2019 in the North Alabama Medical Center in Florence. Barbara was born in Augusta, GA to Earl Boyette and Annie Cliatt Boyette on November 25, 1948. She was preceded in death by her parents and a sister, Patsy Boyette Hendrix. Barbara is survived by her children, Mechele Whitfield (Shane) of Hamilton, Allen Hendrix of Twin and Robert Hendrix (Daphne) of Winfield, grandchildren, Kane and Isabela Hendrix, Holly Hobbs (Ben) and Justin Hendrix, sisters, Charlotte Overton (Buddy) of Brilliant and Janice Harden (Merv) of Augusta, GA and a host of nieces, nephews, great nieces and great nephews and other relatives and friends. Funeral services for Mrs. Hendrix will be held on Thursday April 4, 2019 at 1:30 p.m. from the Bowen Funeral Home chapel with burial to follow in the Brilliant Memorial Gardens. Visitation will be held on Thursday from 11:00 a.m. until 1:30 p.m. (service time) at the funeral home. David Crow will be the officiating minister. Bowen Funeral Home serving the Hendrix family. Mrs. Lanelle Sheree Roberts, age 57 of the Hubbertville community, passed away Monday, April 1, 2019 at her residence. Sheree was preceded in death by her husband, Dexter Roberts, and her parents, Houston T. Dozier and Ollie Lee Pennington Dozier. She is survived by her daughters, Janalee Sheree Patton (Kyle) of Northport and Danielle Roberts Ellis (Will) of Northport, grandchildren, Katelyn Mae Patton, Eli Wick Patton, William Griffin Ellis and Elizabeth Joy Ellis, sister, Janet Henslee (Terry), Timmy Dozier (Lisa), Jamie Dozier (Becky), Hugh Dozier (Deborah), sister in law, Marilyn Roberts, brother in laws, Wesley Roberts, (Joni) and Timbo Roberts (Kimm). Funeral services for Mrs. Roberts will be held on Wednesday, April 3, 2019 at 2:00 p.m. from the Bowen Funeral Home chapel with burial to follow in the Hubbertville Church of Christ cemetery. Rick Taylor and Ernie Price will officiate. Visitation will be held on Tuesday, April 2, 2019 from 6:00 p.m. until 8:00 p.m. at the funeral home. Bowen Funeral Home of Winfield serving the Roberts family. Mr. Gary Michael Humber, age 68 of Guin, near the Twin community, passed away at his residence. Gary is survived by his mother, Delyn Langley Humber, brothers, Darrell Humber of Winfield and Nathan Humber (Vickie) of Winfield, nieces, and nephews, Lyndsey Beth Kone (Stephen), Joshua Nathan Humber (Lindsey), Bobbie Haney Carr (Jeff), Taylor Jordan Capps, Ashley Brooke Capps Floyd (Nathan), aunts and uncles, Charlene Baccus (Ray), Irene Humber Hayes, Lourene Humber Corkren and John Luie Humber (Frankie Jean), and a host of great nieces, nephews and other relatives and friends. He was preceded in death by his father, Pearson Melvin Humber. Funeral services will be held on Wednesday, April 3, 2019 at 11:00 a.m. from the Bowen Funeral Home Chapel with burial to follow in the Zion Missionary Baptist Church cemetery. The family will receive friends from 10:30 a.m. until 11:00 a.m. (service time) at the funeral home. Bro. Paul Gray will be the officiating minister. Bowen Funeral Home serving the Humber family. 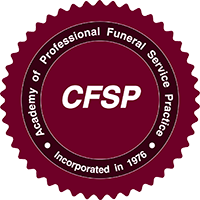 It is our goal to make every funeral ceremony meaningful and personal and to honor and celebrate the life that was lived.